The agile STIHL RT 5097 ride-on mower supports you in the care of extensive lawn areas. 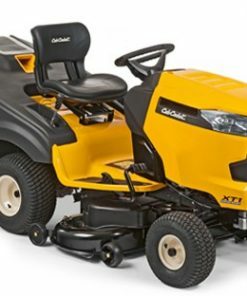 With its high degree of driving comfort and the clearly arranged controls, this ride-on mower offers well-thought-out technology for effortless working. 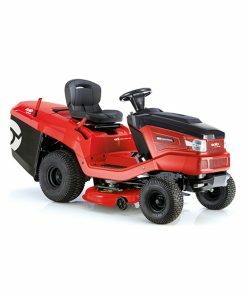 You can adjust the comfortably spring-loaded seat of this lawn tractor precisely to your body height without the use of tools. 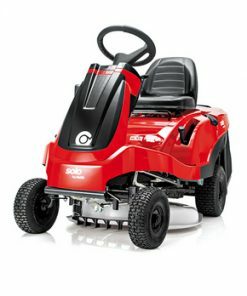 Thanks to the simple cutting height adjustment and the electromagnetic blade clutch for activating and deactivating the mowing deck, you achieve an equally high mowing performance and top-quality results. 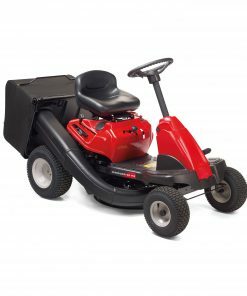 The catching management system on both sides of the mowing deck helps gather the grass as completely as possible across the entire cutting width and guide it to the cutting blades The comfortable single-pedal self-propulsion allows you to manoeuvre even more precisely during mowing. 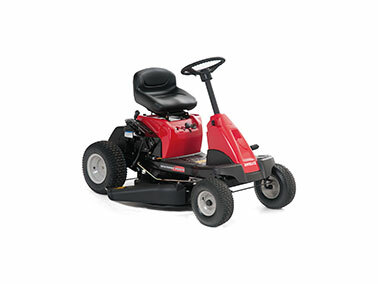 You can change the driving direction of the lawn tractor from forward to reverse gear with a single action. Thanks to the practical bow handle, the 250-litre grass catcher box can be emptied effortlessly from the driver’s seat. The plastic grass catcher box in the “dumper” design is very easy to clean. The large turf tyres of the STIHL ride-on mower protect the lawn. Thanks to their rounded tyre shoulders, they reduce the formation of driving tracks. The lever for central adjustment is located directly next to the driver’s seat. It enables individual adjustment of the cutting height in up to eight steps. The robust frame construction ensures the necessary stability and driving comfort. The compact design of the STIHL ride-on mower also impresses when working with attachments such as the snow clearing set, for example. The perfect seat position can be set without the use of tools. This permits individual adjustment of the driver’s seat to almost any body size. 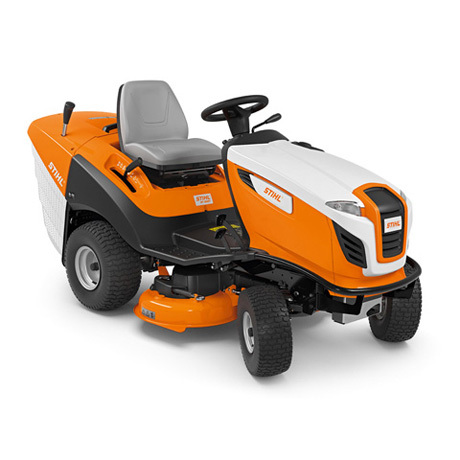 The low step on the STIHL ride-on mowers provides ample legroom and enables comfortable mounting and dismounting. 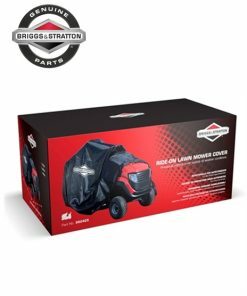 The catching management system on both sides of the mowing deck provides for optimal gathering of the grass blades across the entire working width. 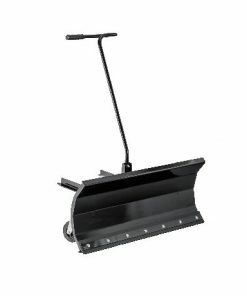 It guides the grass to the mowing blades. The plastic grass catcher box can be emptied effortlessly from the driver’s seat by means of a bow handle. The “dumper” design ensures optimum filling and residual-free emptying of the grass catcher box. Cleaning can also be performed with ease. With the STIHL single-pedal self-propulsion, the direction of travel can be conveniently switched between forward and reverse gear using a hand lever to facilitate quick manoeuvring. The pressure-sensitive pedal permits fine control of the speed between top speed and standstill. The separate brake pedal ensures immediate stopping. 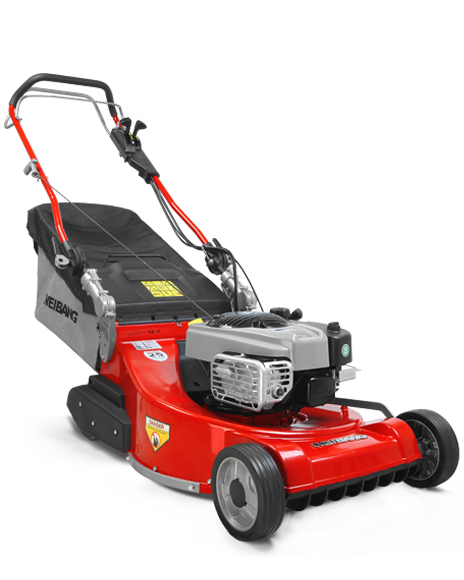 The clutch system for mowing deck activation facilitates engagement and disengagement of the blades. It can be conveniently operated from the control panel. With the mulch insert, the STIHL ride-on mowers can be converted into mulching mowers. For this purpose, the grass catcher box is simply removed and the mulch insert pushed into the grass catcher tunnel. This allows the grass to be shredded into fine particles inside the closed housing before they fall back into the turf, returning vital nutrients and moisture to the soil. Through this natural form of fertilising, disposal of the clippings is dispensed with.